One night with no sleep I can handle. Two nights in a row? It’s scary. I can’t concentrate at work, I’m hungry all day and I have a tight fuse. Luckily, I rarely have more than one sleepless night in a row but when it has happened I’m quickly looking for remedies. Oh, truth be told, I have used Diphenhydramine (also known as Benadryl) on occasion for when I am traveling but for persistent insomnia, it’s not a very healthy drug because it can also cause unwanted sleepiness in the morning, along with difficulty urinating. Then there are sleeping pills like Ambien and Lunesta or others like Valium, Ativan and Resoril which are all habit forming and lose their effectiveness over time. I’ve known friends that start on these drugs in perimenopause and are still addicted 20 years later. Guess the message here is don’t start. 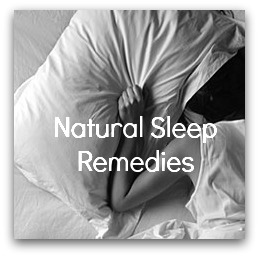 Try some of these natural sleep aids first. Natural progesterone: Dr. Christine Northrup in her book Wisdom of Menopause recommends trying ¼ teaspoon (20 mg) 2% natural progesterone skin cream at bedtime. Personally, I use a compounded progesterone lozenge that was prescribed by my doctor. It has a calming effect on the brain. Bonus: It may help with PMS too. Melatonin: Melatonin is a hormone secreted in the brain in response to light and darkness. At night the natural levels of melatonin increase and at daylight it decreases. This is why is important to turn off your computer and TV an hour before you go to bed. The artificial light lowers melatonin levels and can make it harder to fall asleep. Sometimes I use supplemental melatonin. The usual dose is .5 – 3 mg. Take an hour before bedtime. If you prefer, you can also get mel atonin in food: Tart cherries (see my comment below on cherry juice), walnuts, and orange bell peppers. L-Theanine: L-theanine is a free form amino acid found in green tea and is available as a supplement, too. Clinical studies have shown that 100-200 mg of L-theanine taking orally increases calmness and helps leads the brain to a relaxation state. It is safe to take at the 200 mg level as it is a natural substance found in tea. You would need to drink 6-8 cups of tea, however; to get around 200 to 400 mg of L-theanine. Valerian: Studies show valerian is helpful in inducing sleep and preventing nighttime awakenings but without the morning drowsiness. Only thing is I think it has a bad taste and smell so make sure you take it in a capsule form. Recommended dosage: 150-300 mg (0.8 percent standardized product) at bedtime. Tart Cherry Juice: Drinking 8 ounces of tart cherry juice may help you sleep better at night, suggests new study from Experimental Biology 2014. 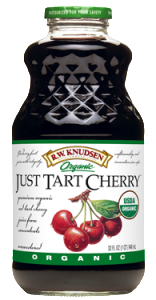 Researchers found that drinking Montgomery tart cherry juice twice a day for two weeks helped increase sleep time by nearly 90 minutes among older adults with insomnia compared to placebo. Recommended dose: 8 ounces twice a day. Of course, you can try any of these or combinations all at one time. 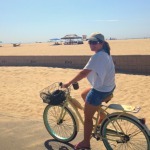 I use melatonin, progesterone and tart cherry juice frequently. Please let me know if you have other natural sleep remedies that work for you? Is Tart Cherry Juice carried in general grocery stores or more specialized health stores? Yes, most grocery stores carry this and all natural food stores like Whole Foods and Sprouts carry it. Albertsons probably only does in their stores with larger natural food sets like in Fullerton (6119).